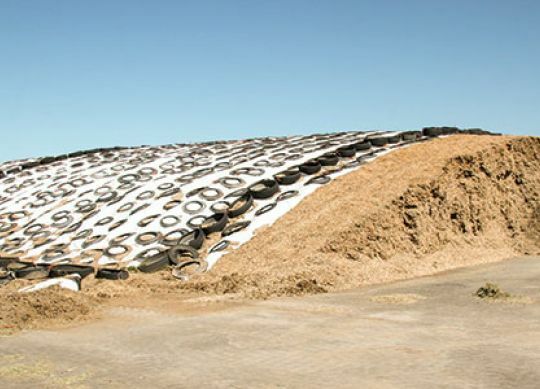 In many parts of North America, there can be a surplus of whole-plant corn acres left over for corn grain harvesting once the silage tonnage requirements are met. For dairy and beef operations, this grain fraction does not have to be taken as dried shell corn. Instead, there is the option to take high-moisture corn (HMC) grain crops, using available field harvesting equipment and eliminating costs incurred during artificial drying, allowing harvest two to three weeks earlier and reducing field and harvesting dry matter compared to corn harvested for dry storage. There are a wide variety of HMC grain-type products stored on-farm depending on the harvest method chosen. All have one thing in common: They are stored by ensiling and are prone to aerobic instability if they are not ensiled, stored and fed out correctly.